U.S. Imports: What Would We Do Without Mexico? U.S. imports of malt beverages posted another stellar month of volume gains. September imports recorded a 17 percent increase, bringing year-to-date total import volumes to +8.5 percent compared to 2013. The September gains bring the industry its fourth straight month of double digit import gains. These gains help keep the total industry in positive territory for nine months of 2014. 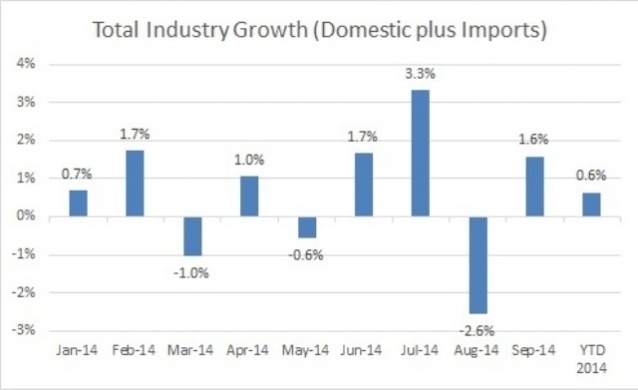 The total industry (domestic tax paid plus imports) continues to hold steady with a 0.6 percent volume growth for nine months in 2014. More importantly, imports’ share of the total market now stands at 14.5 share for 2014, compared to 13.4 share for 2013. When we dig a bit deeper into the numbers, Mexican imports clearly stand out. Mexico is up 35 percent in September and 17 percent year-to-date. That is a lot of beer – more than 29 million cases for nine months. In fact, without Mexico, U.S. imports would be down 4 percent year-to date. 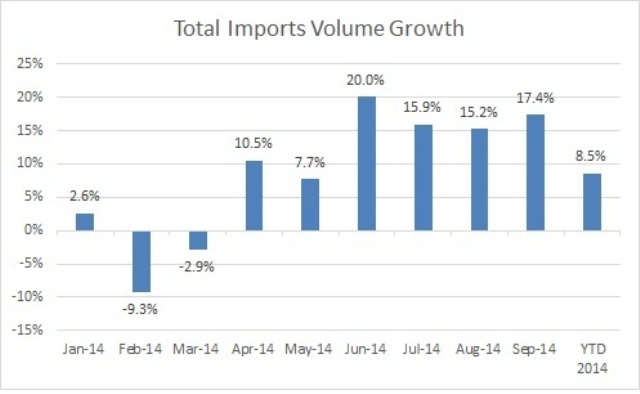 Mexico is now almost two thirds of total import volumes. It is pretty clear that the Hispanic beer market is poised to be a driving force for the U.S. beer business for the remainder of 2014 and into 2015. To receive additional information, please contact NBWA Chief Economist Lester Jones at ljones@nbwa.org.